If you are planning to start your own blog or else you are already a blogger and looking for the best weapon for your job then a laptop is must have as without it, you can’t even start your work. A computer will always do the trick but if you tend to travel a lot for your work purpose, then the laptop should be the best choice. First, consider the factors that are required for your blogging job and then go ahead to pick up the suitable one. The bloggers generally write articles, edit the photos and videos, and require an all-time internet connection. Travelling is also a part of their job. So, while choosing the best laptops for bloggers, you should have all these points on your mind. Anyways, we are here to narrow down the searching process by listing some of the best laptops for bloggers. Read to know the suitable blogger’s laptop. Chromebooks are still a debatable product because some of the buyers are not convinced about the product and its total adoption of the internet for everything they need to do. On the other hand, you will hardly be using the hard disk space on your computer and rarely work in an environment where there is no internet. Most bloggers and writers who love to have some private time will find working in a coffee shop, a park or a resort. They do have the option of sharing 4G from their phone if they need to or make use of the public Wi-Fi. The HP Chromebook offers the best package for anyone who wants a very affordable laptop for their blogging needs. After all, you can’t post content on a blog without an internet connection and you can make use of the offline feature to type things at any location of your choice. For such a requirement, the HP laptop sounds like an ideal choice and it runs on the latest version of the Chrome OS. There is no need to worry about upgrading to the latest Windows or upgrade Office 365 because everything is done on the go by Google. In terms of specifications, this may not be the most impressive product, but it is more than enough for your blogging needs. 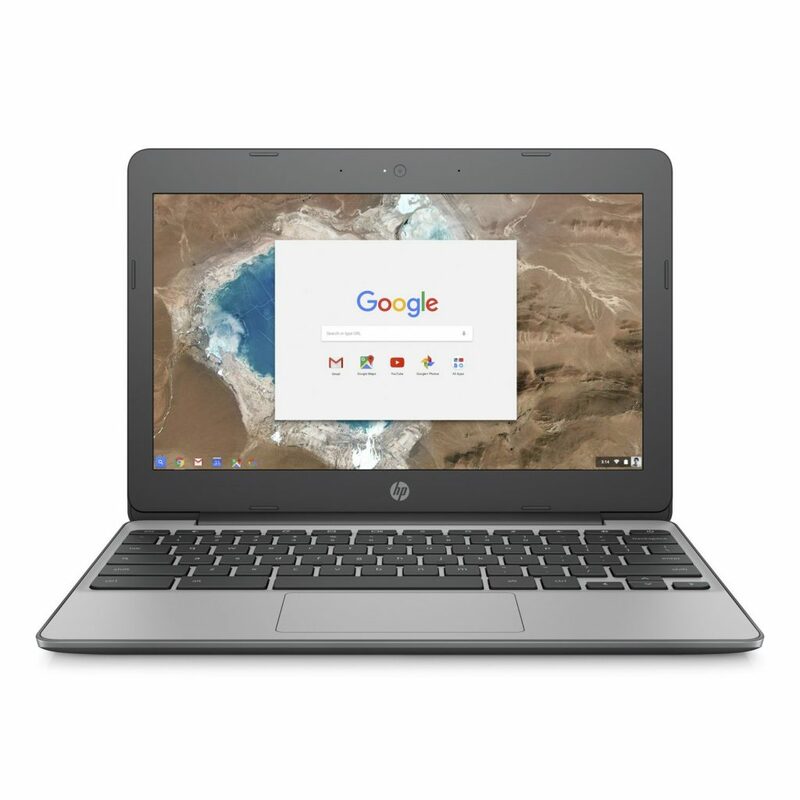 The HP Chromebook is powered by an Intel Celeron N3060 1.6 GHz dual-core processor coupled with 4 GB of RAM and uses Intel HD Graphics 400. The laptop has just 16 GB of storage space offered by the eMMC storage. The display is rather small and compact measuring at just 11.6-inches with a resolution of 1366 x 768 pixels with the capacity to display most word documents appropriately. You can always choose to view things on a desktop PC if required at a later time which has a full HD display. What Makes the HP Chromebook an Ideal Blogger’s Laptop? 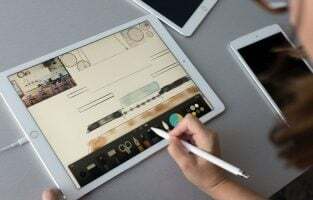 Not every blogger is fond of using a touchscreen on their laptops because they feel it is not intuitive to use instead of using a traditional mouse. However, the creative minds sometimes work differently and there are those who are keen on using multiple input sources to get the work done with the shortest turnaround time. 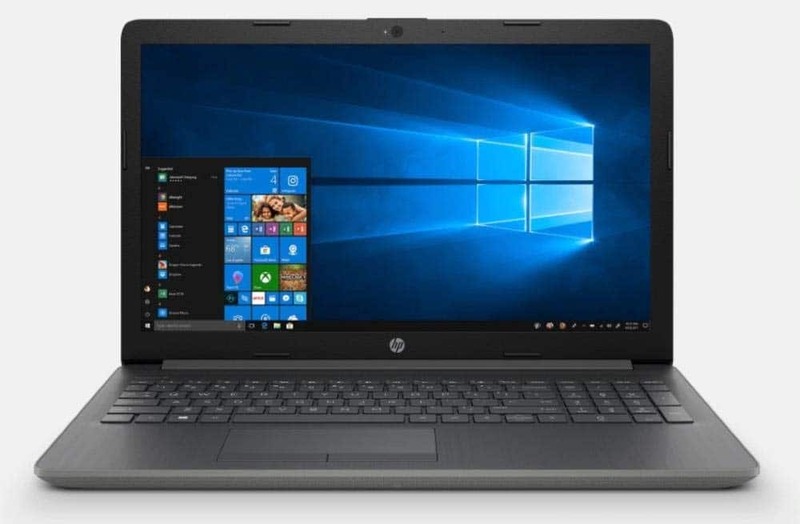 The 2018 HP 15.6-inch laptop features a touchscreen for those who really like the feature and would like to get more things done, especially when you are using the Windows 10 operating system. The new OS has been designed for use with a fingertip and lets you open apps, drag items or simply mark on screen by circling your fingertips. The touchscreen is not the only feature on this laptop as the HP product is powerful on the hardware front. It sports a spacious 15.6-inch display which has a resolution of 1330 x 768p. The 10-finger multi-touch support will allow you to seamlessly move through different apps and Windows 10 is equipped for the process, as there is a dedicated app for all popular software in the Microsoft Store. The laptop is powered by the 7th Generation Intel Core i3 7100U processor clocked at 2.40 GHz. It is coupled with 8 GB of DDR4 RAM and there is a spacious 1 TB of storage space for all your files. Some of the more traditional connectivity and storage options are also supported by the laptop even though it is modern with a touch display. The device has multiple USB ports, supports high-speed wireless internet connectivity, uses an SD card slot which is ideal for people who take photographs on a DSLR camera and also uses the headphone jack. You can make calls or even connect an external display using the HDMI port found in the laptop. The HP product runs on Windows 10 home edition and is a reliable choice for bloggers who like to be more productive by combining their mouse and keyboard with touchscreen capabilities. What Makes the HP 2018 Touchscreen Laptop a Productive Choice? A common notion prevails that make people believe that bloggers are boring and often write long paragraphs of content and news stories. The modern age blogger is more technologically advanced than you could imagine. They are at the precipice of technology, especially those who write tech news, reviews and those who play games to review them. While you can still use an Xbox One, PS4 or PC to play games and review them, a dedicated gaming laptop that is sturdy and easy to carry around will come in handy. 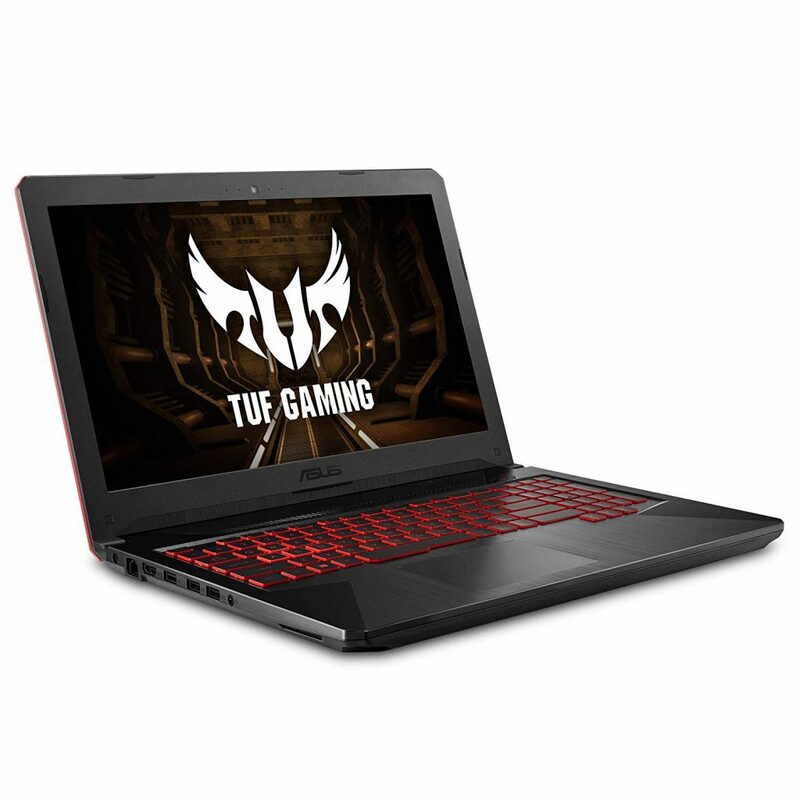 The ASUS TUF gaming laptop FX504 is one such product which has been built to last long with a sturdy base and you can type lots of content on it without straining the keyboard. The best part is the hardware specifications of this product which includes a dedicated graphics card. The Asus TUF series of products are rigid and durable. This laptop stands true to the name. 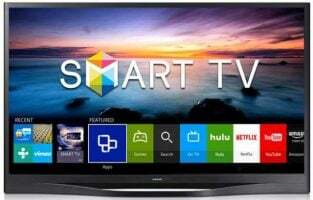 It features a large 15.6-inch HD display and gaming at 1080p is much easier for most modern AAA titles. Under the strong hood, there is an 8th generation Intel Core i5-8300H processor clocked at 3.9 GHz. That’s a lot of power for not only gaming but you can also use Photoshop and other demanding software required for your blogging purpose. It has 8 GB of DDR4 RAM combined with 256 GB of M.2 SSD storage and it even has Wi-Fi AC for fastest internet connectivity. The dedicated card is the Nvidia GeForce GTX 1050Ti which is more than enough for most gaming requirements and will also subsequently speed up most software operations. The Value edition even comes bundled with Gears of War 4 game and the classic Age of Empires Definitive Edition. You can be a gamer or a tech reviewer. Either way, the laptop comes in handy to work on the go with the best hardware power. The laptop weighs just 5.07 lbs which are lightweight considering the components used in it. There are lots of connectivity ports including Ethernet, HDMI, multiple USB ports and headphone jack for your gaming/reviewing needs. The heat vents help keep the laptop cool even when under pressure. What Makes the Asus TUF gaming laptop FX504 Best laptop for bloggers? The Lenovo Ideapad 2018 edition is a stylish laptop which will impress any onlooker and if you are going to blog while making an impression, this should be a perfect pick. The laptop features a denim blue matte finish on the outside which enhances its overall style quotient. But, it’s not all about style as the Ideapad also has decent specifications to get you through your blogging tasks. The device sports a 15.6-inch display with a full HD resolution of 1920 x 1080 pixels. It uses a LED back-light which improves the overall brightness level of the display allowing users to use it under direct sunlight and in the open. Apart from these features, the display is also equipped with anti-glare coating. The laptop is powered by an Intel Celeron N3350 processor. It is a dual-core processor clocked in at 1.10 GHz and can go all the way up to 2.40 GHz making it a powerful machine for casual use. The processor is coupled with 8 GB of RAM and has a spacious 1 TB hard drive. Being a blogger, if you have a requirement for using DSLR cameras or other devices that use SD cards, you will be glad to know that this laptop comes integrated with an SD Card reader. 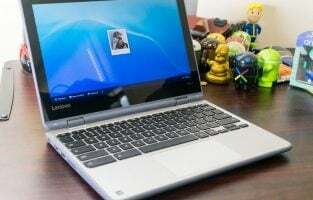 The laptop has a large collection of ports for connectivity including an HDMI port, Ethernet port, USB, Wi-Fi AC, Ethernet, headphone jack and a dedicated webcam. It is meagre at just 0.3 megapixels but for quick video calls, this should be a sufficient cam. The battery life of the laptop is measured to be at 5 hours on full charge and it runs on Windows 10 Home edition out of the box. It also has a DVD drive which may not be truly useful in this era of high-speed internet but if you have old movies and files stored in it, you can make use of it. What Makes the 2018 Lenovo Ideapad a Great Laptop with Style and Substance? Chromebooks are occupying a fair share of the market even though they are not full-fledged with actual storage space and an operating system like Windows or Linux. Instead, Google wants people to use their services right from emails to spreadsheets and word documents, all within their cloud-based free solutions. 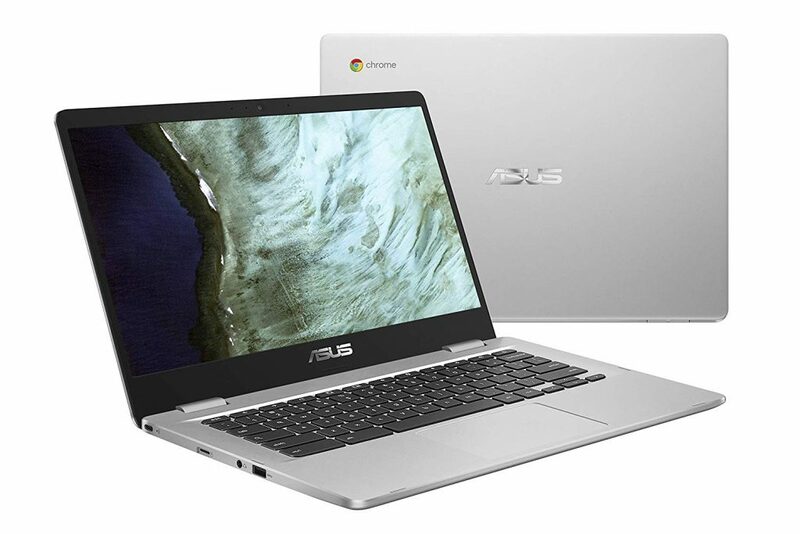 If you are among the casual blogger who is always connected to the internet and love an affordable yet productive solution, the Asus Chromebook C423NA-DH02 is a great choice as it provides great value for the money you spend. The laptop sports a 14-inch display with a resolution of 1366 x 768 pixels. 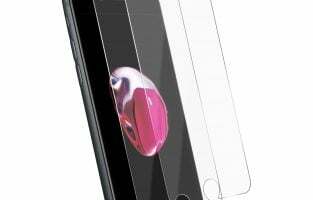 The unique aspect of the screen is that it uses a Nano edge display which also has an anti-glare coating. It is ideal for bloggers who travel a lot and use their laptops in brightly lit conditions. 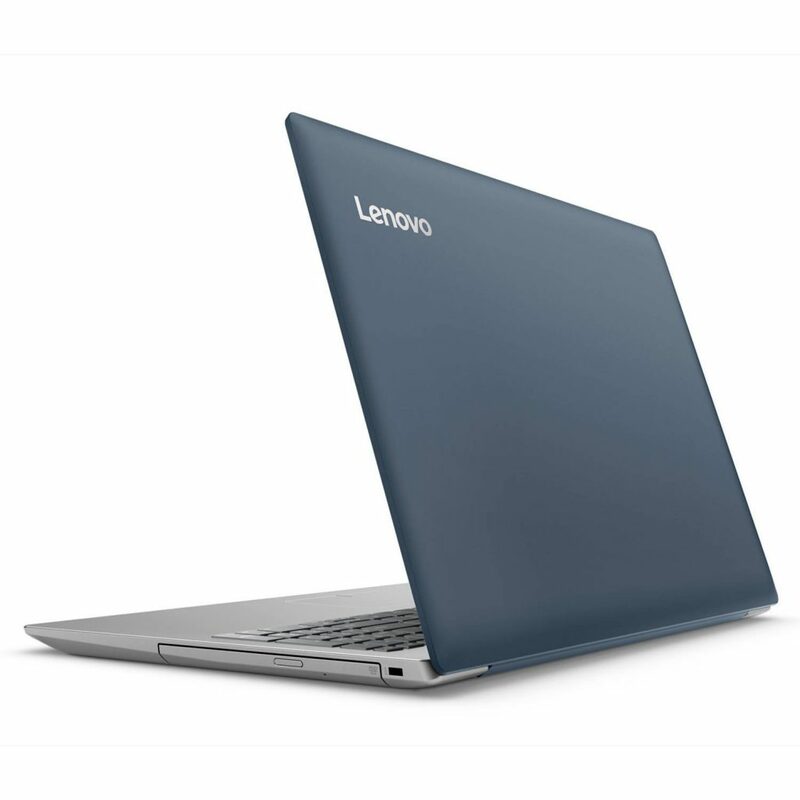 Another unique aspect of the product is the 180-degree hinge which allows you to keep the laptop flat on the floor to display content or use it in a convenient position of your choice. It is powered by an Intel Celeron dual-core N3350 processor which is clocked up to 2.4 GHz. The processor is coupled with 4 GB of RAM with 32 GB of storage and surprisingly the laptop has both types of USB ports so that you can easily connect your modern day gadgets. 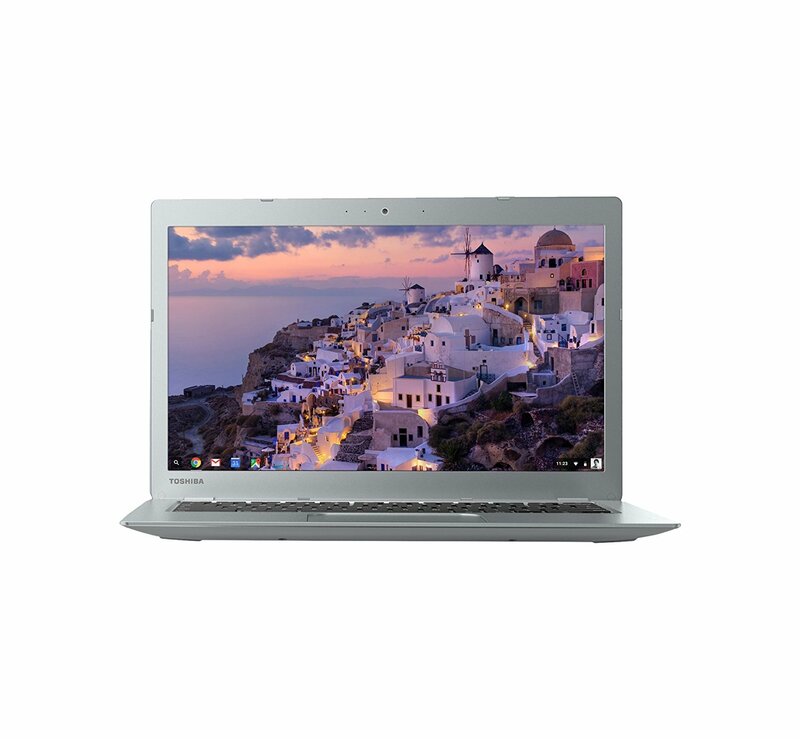 ChromeOS is what powers all Chromebooks and the Asus Chromebook is no different. You will immediately get access to all the services Google has to offer and make use of the free storage they offer on the cloud. Apart from productivity, the laptop is ideal for movies, music, magazines and books. The company offers about 100 GB of storage which is more than enough for most users who need space for their files. Besides, your documents will be saved on Google Drive in the form of sheets and word documents, ready to be accessed whenever you go online. All files that you work on are all saved automatically and you will have no issues in losing your important documents as they are all backed on multiple cloud servers. What Makes the Asus Chromebook C423NA-DH02 a Versatile Laptop? When you are a blogger and require powerful hardware specifications, there is no specific product to suit your requirement which is why we would suggest a gaming laptop. The laptops that fall in this category are always more powerful, have a dedicated graphics card and are sturdy, built to last longer for bloggers who travel frequently. The MSI GP63 Leopard 602 is a powerful product which is powered by the Intel Core i7 8750H processor and the 8th generation processor is capable of delivering up to 4.1 GHz which is the maximum output you might need for most tasks. It is paired with 8 GB of DDR4 RAM clocked at 2666 MHZ and there is 1 TB hard disk space for all your storage needs. Above all, the most important hardware component in this MSI laptop is the dedicated graphics card. It is powered by a GeForce Nvidia GTX 1060 card which has 6 GB of VRAM. The graphics card is more than capable of handling all the designing software you through at it, video or audio editing combined with some casual gaming. The company claims it as a VR ready laptop and in case you are a tech blogger who needs to try out the latest technology such as virtual reality, this should be an ideal choice. You will be able to do it all the tests on the go without having to stay attached to a desktop PC that is usually large and bulky. 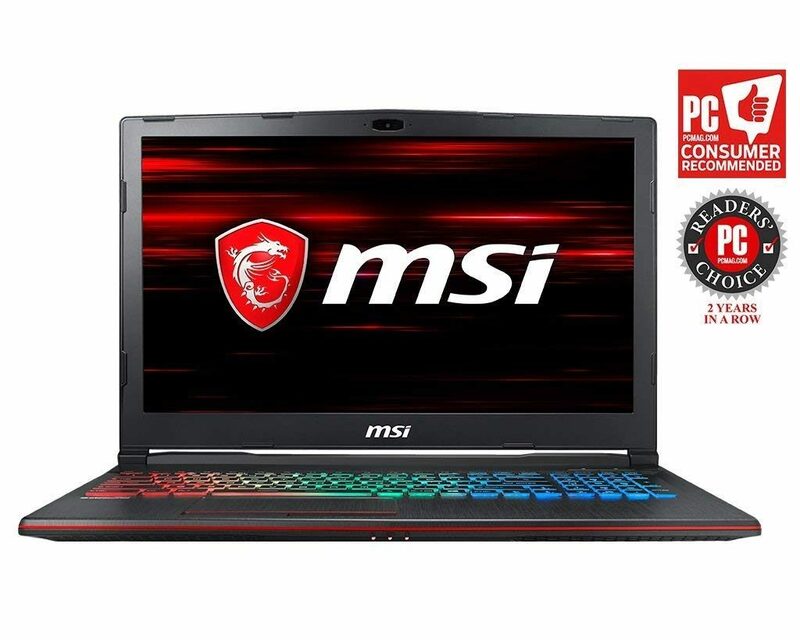 The MSI laptop runs on Windows 10 Home edition. It has a moderately sized 15.6-inch display with a resolution of 1920 x 1080 pixels. 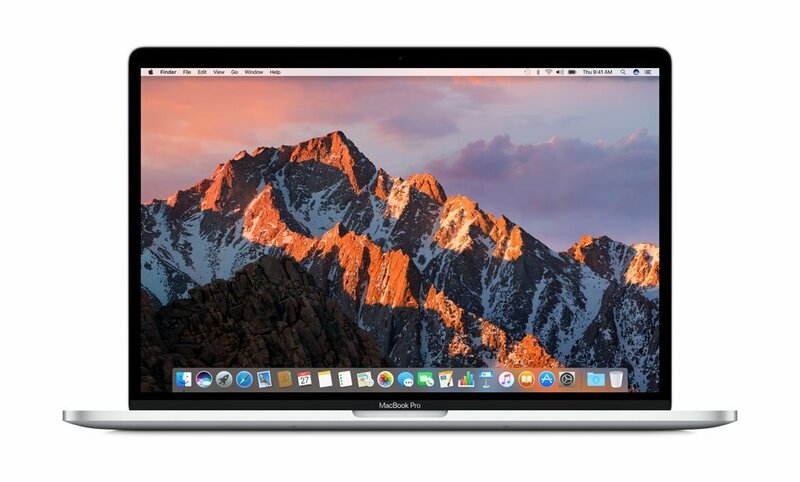 The refresh rate is 3 milliseconds and it has also been tuned to 94% NTSC color anti-glare correction so that you can work on Photoshop and other designing software. It delivers accurate colors that will help most designers get professional work done on the go. While bloggers may not require it, it still helps when you are editing images for your blog or even do some video editing for people who do video blogs. The laptop is equipped with Wi-Fi AC, the fastest internet connectivity and also has Bluetooth 5 technology to easily pair up additional devices. What Makes the MSI GP63 Leopard 602 a Powerful Blogger Tool? 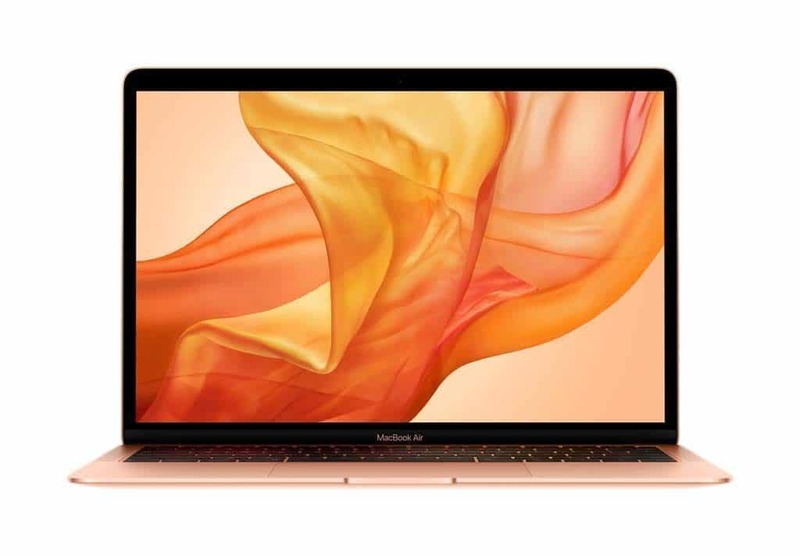 The Apple MacBook Air has been the most preferred laptop by bloggers because of its slim design, compact stature and the newly released laptop for the year 2019 is even better. After years of waiting, Apple finally revamped the product and removed all the large bezels. It makes the device look more futuristic and has also drastically increased its price. However, if you don’t mind making an investment that would reap long term benefits, this should be the product to go for. It features a 13-inch display which uses Retina technology and looks exceptionally sharp to look at with brilliant color reproduction. The laptop supports Touch ID so that you could easily log in and maintain your privacy. For people who travel often, the privacy and security offered by Touch ID are immensely useful. It is powered by 8th generation Intel Core i5 processor paired along with Intel UHD graphics 617. The SSD storage significantly improves the performance of the MacBook Air, a product known for its compact design and beautiful finish. Apple is the only company that delivers such a level of perfection and it continues to top everyone else except for the Microsoft Surface Pro that comes close. The laptop is powered with 8 GB of RAM, runs the latest MacOS and uses Stereo speaker sound for the wide sound experience. The product is available with two different storage variants, one with 128 GB of storage while another with 256 GB of storage. What Makes the Apple MacBook Air 2019 Edition the Best Laptop for Bloggers? This is one of the best laptops for bloggers on our list that comes packed with a high-end configuration to ensure you can complete your blogging job hassle-free. The processor is the latest Intel Core 7th generation i7 7200U clocked at 2.7 GHz. So, performance wise you can be assured to receive the fastest performance. With this, the laptop has packed 12GB RAM, 256GB storage, 9 hours battery life and that great 15.6 inch full HD IPS display. It has a multi-touch screen while the laptop can be converted into a tablet also in need. The 360-degree hinge allows you to keep the laptop the way you want. Along with all these, the 2GB NVIDIA GeForce 940MX graphics card ensures lag-free performance while playing any game. 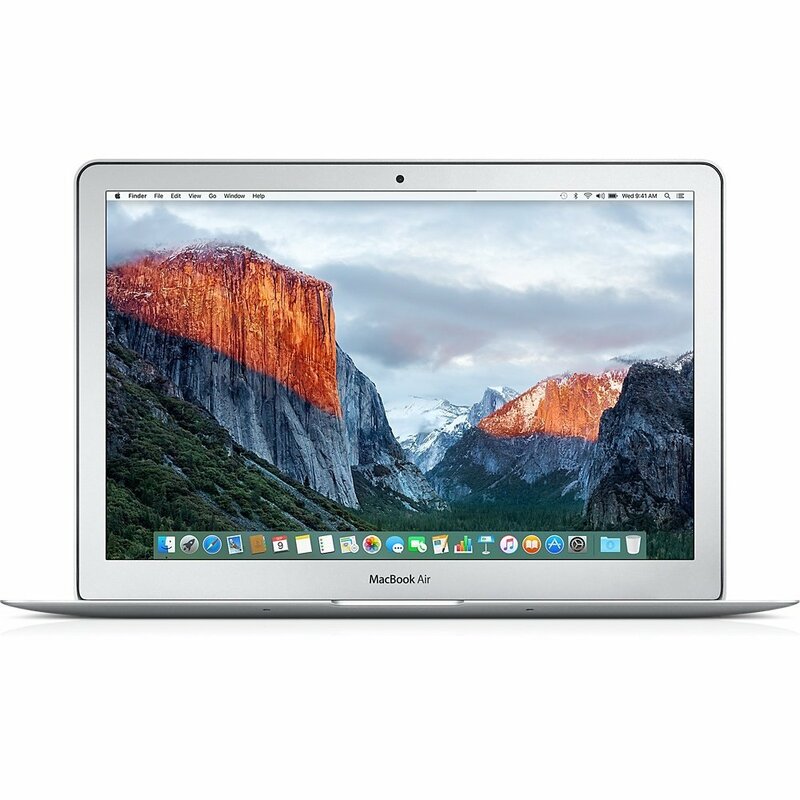 If you are planning to own one laptop from the renowned brand Apple, then Apple MacBook Air must be one of the great options to look for. It has all that needed features which are required by a blogger, such as multitasking ability, editing the photos and video content, opening numerous tab at a time etc. This laptop’s features include 1.6-2.7GHz dual-core Intel Core i5 processor, 4GB RAM, 128GB SSD Storage, 13.3inch LED-backlit Widescreen Display that has a resolution of 1440×900. Overall this is a great choice so you can easily consider looking at it. Another great laptop in our list that is lightweight and compact thus it is just perfect for you in case you tend to travel a lot. It is also not too big in sizes as Microsoft has integrated a 12.3-inch PixelSense screen. This screen is another best reason to choose this laptop for your blogging purpose. The display has high contrast along with low glare. So, work for the full day without worrying for your eyes. It will not offer any strain to the eyes. Also, this laptop is powered by Intel Core i7 processor along with 16GB RAM and 1 TB HDD capacity. 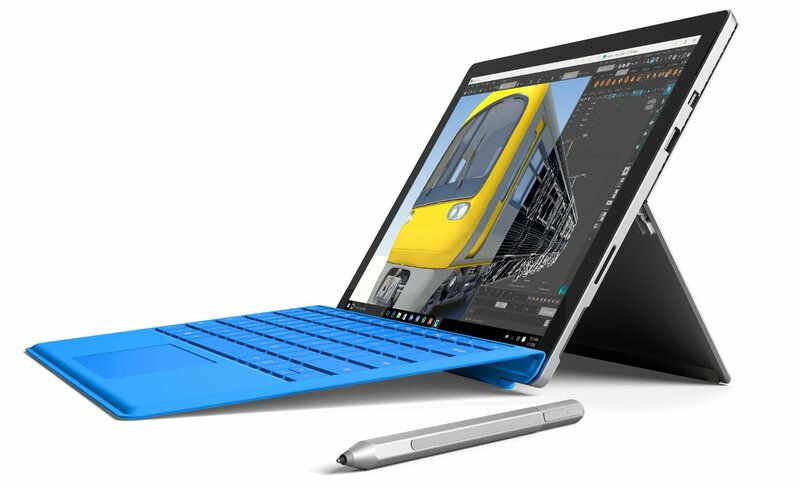 The laptop can be converted into a tablet due to that added kickstand while the surface pen is sold separately. If your budget is bit tight then this laptop from Toshiba can be a great option to consider. The bloggers do not require extremely powerful laptop rather it should be ok to handle multitasking and Toshiba Chromebook 2 is just perfect for that. Its specifications include Intel Core i3-5015U 2.1 GHz Processor, 4GB RAM, 16GB SDD storage and the 13.3 inch full HD IPS display. All these features ensure you can accomplish your blogging task in this laptop hassle free. This is available under $500, so if you are just about to start the blogging and running low on budget, this is an ideal choice for that. 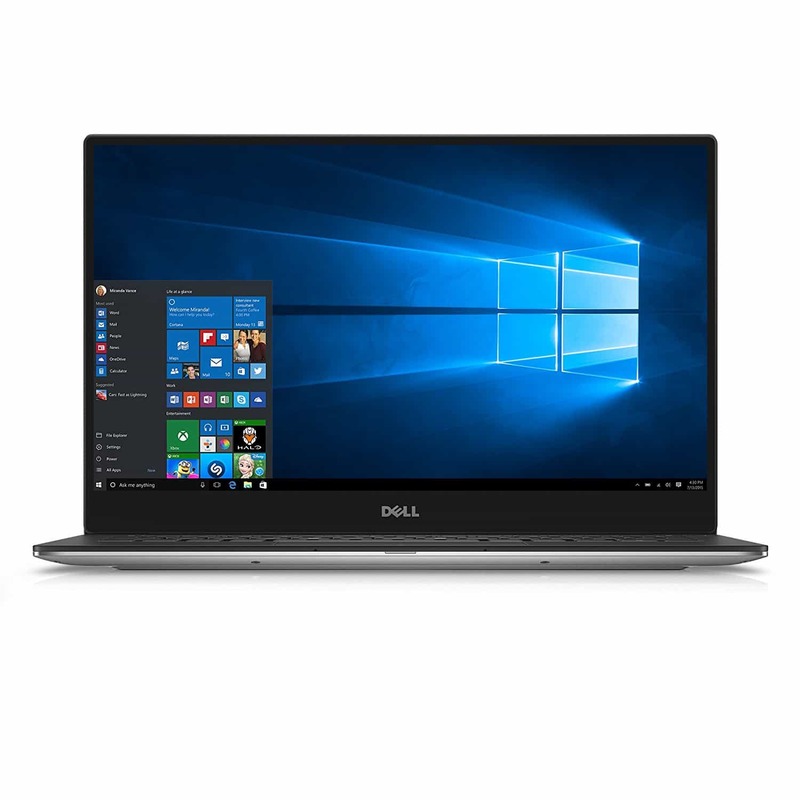 Dell XPS 13 is probably the best laptop for bloggers from Dell which is equipped with high power even though that much is actually not needed by any blogger. But still, you can get it to accomplish your other tasks as well. 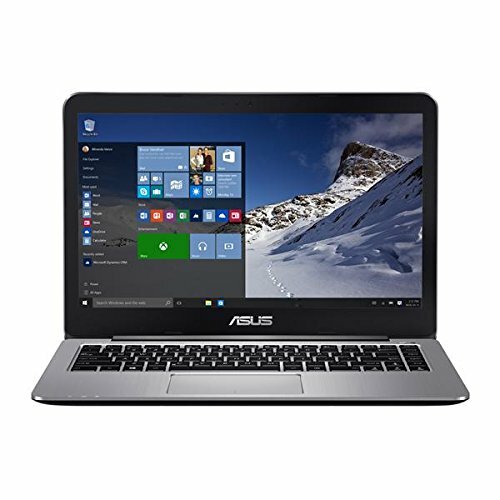 The most interesting stuff in this laptop is its screen that has a very thin bezel which seems like the screen has nothing around it and it is sitting in the air. This makes videos and movies really fun. 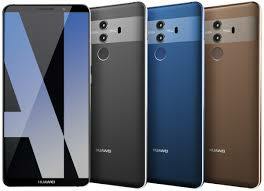 However, other specifications include 7th generation Intel Core i5 processor, 8GB RAM, 256GB SSD storage, the 13.3″ QHD Infinity edge touch Display etc. This laptop is available in silver color while it runs on the Windows 10 operating system. Another great laptop from Apple for bloggers that is packed with high-end features to change the feeling of a laptop. This is to mention that this laptop from Apple is a bit expensive so not all can go for it. So, if you have no limit on the budget then this laptop from Apple can be a game-changing one. Apple has integrated the very powerful Quad-core Intel Core i7 processor at 2.6 GHz with 16GB RAM and 256GB SSD storage. This laptop has a 15.4-inch touch bar display. It runs on Mac OS sierra. Blogging requires a lot of typing and HP is just ideal for that job that has integrated a very smooth keyboard to make typing easier and fast. 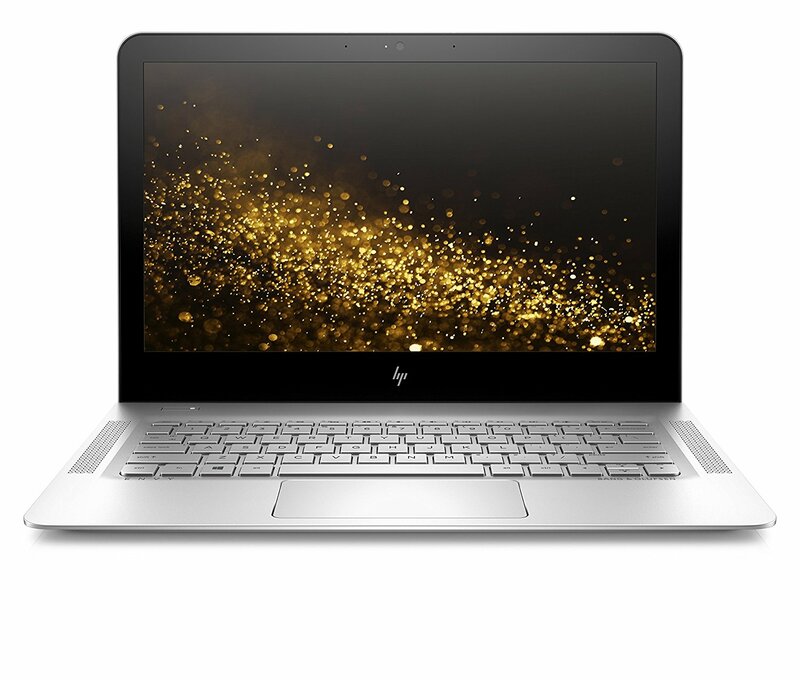 HP ENVY 13 is one of the best choices from HP that is featured with the latest 7th generation processor and better SSD to offer a lag-free and smooth performance. Also, the 8GB RAM, 256GB storage, 13.3 inch full HD IPS display are other specifications of this laptop. This is available on Amazon at a very decent price. This is one of the best laptops for bloggers to mention in this list. While this laptop is packed with numerous blogging perfect features but its main attraction is the 13 hours long battery life which does not require you to carry a charger. 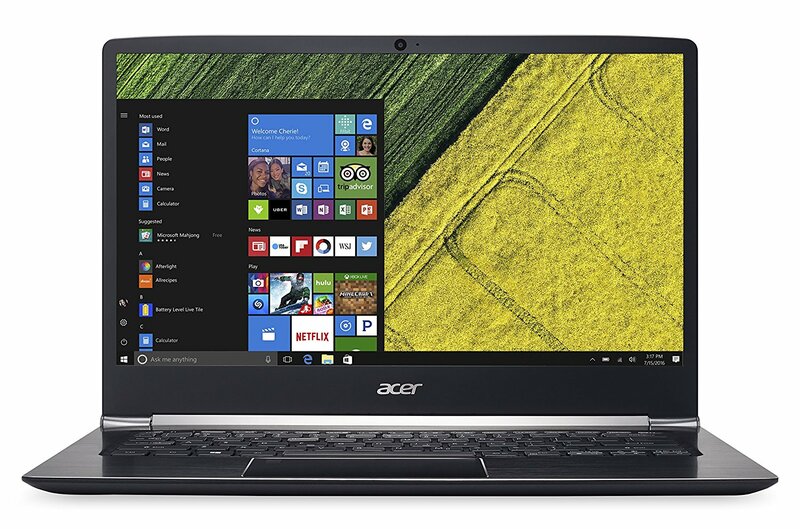 Acer has ensured that this Acer Swift 5 14 inch laptop can handle all types of task simultaneously. 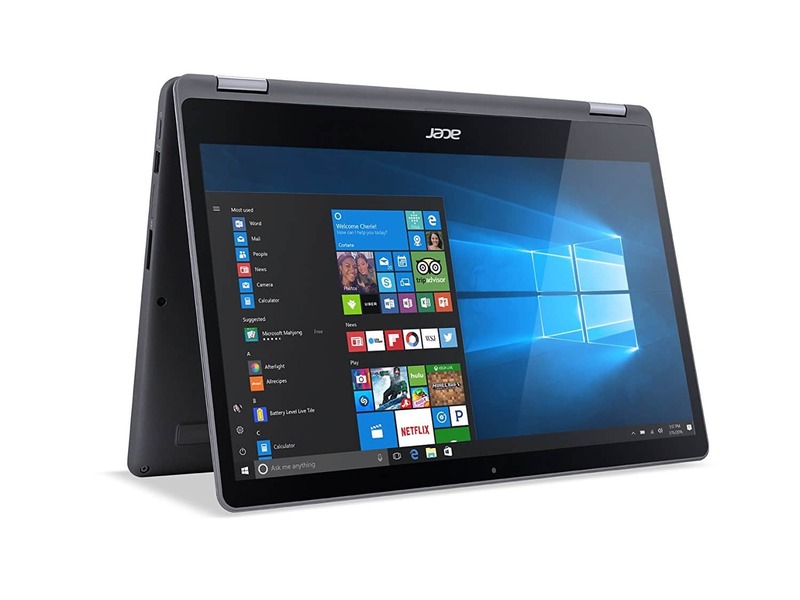 The latest 7th generation Intel Core i7-7500U Processor at 2.7GHz, turbo up to 3.5GHz, 8GB RAM, 256GB SSD, and the 14-inch full HD Widescreen IPS CineCrystal display made this laptop a must have if you are looking to acquire a laptop from Acer. The cheapest laptop in the list that does not compromise on the features just for the price. Even though this laptop carries a price tag which is almost half than other laptops but has a big 14 inch full HD display of 1080pixel. Under the hood, there is 16-2.4GHz Intel Quad Core N3700 processor, 4GB RAM, 128GB eMMC Flash along with an aall-daybattery. Also, it has a very ultra thin and lightweight design that makes it perfectly portable. So, these are the best laptops for bloggers. All these laptops mentioned here are capable of handling multitasks while they are available in affordable ranges as well. So, read the article thoroughly and pick up the one that will suit your need and budget the most.